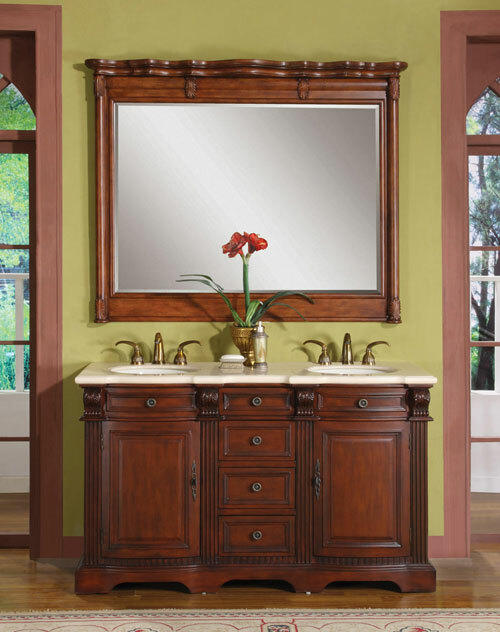 Where the 58" Myras Double Bath Vanity is, beauty follows. 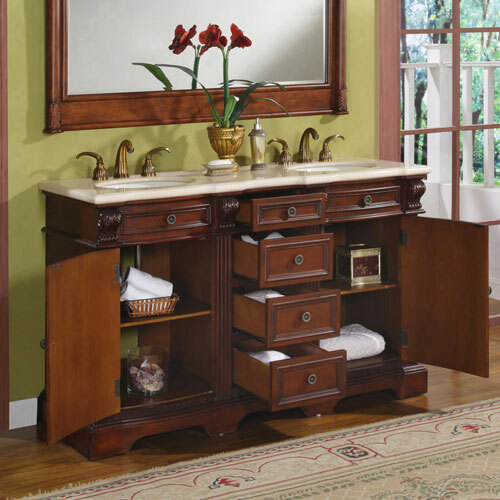 Its gorgeous Walnut finished cabinet features two single-door cabinets with four drawers, allowing you to house all your bathroom necessities in a neat and organized fashion. 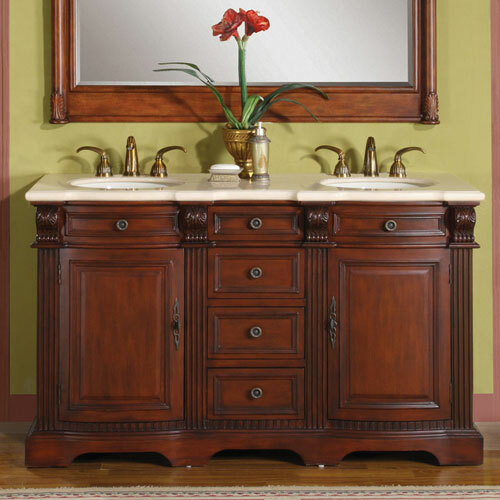 The top features a gorgeous Cream Marfil marble and is matched with two white ceramic undermount sinks. 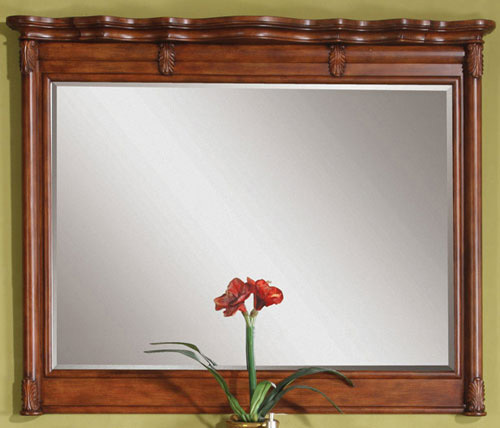 Add the optional mirror to give your new vanity a look that's designed to impress.